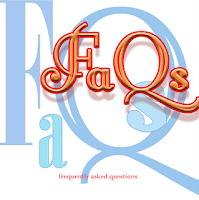 Home Article FAQs Interview Questions Quality Software Testing Terminologies Testing eBook Top 50 Tutorial Top 50 Software Testing/SQA FAQs you may be asked in an Interview! Top 50 Software Testing/SQA FAQs you may be asked in an Interview! 1. What is 'Software Quality Assurance'? 2. What is 'Software Testing'? 3. Does every software project need testers? 5. Why does software have bugs? a. Miscommunication or no communication. 6. How can new Software QA processes be introduced in an existing Organization? a. For small groups or projects, a more ad-hoc process may be appropriate, depending on the type of customers and projects. b. By incremental self managed team approaches. 7. What is verification? Validation? 8. What is a 'walkthrough'? What's an 'inspection'? 9. What kinds of testing should be considered? Some of the basic kinds of testing involve:Blackbox testing, Whitebox testing, Integration testing, Functional testing, smoke testing, Acceptance testing, Load testing, Performance testing, User acceptance testing. 10. What are 5 common problems in the software development process? 11.What are 5 common solutions to software development problems? 12. What is software 'quality'? 13. What are some recent major computer system failures caused by software bugs? 14. What is 'good code'? What is 'good design'? 15. What is SEI? CMM? CMMI? ISO? Will it help? 16. What steps are needed to develop and run software tests? b. Obtain budget and schedule requirements. e. Determine testing approaches, methods, test environment, test data. f. Set Schedules, testing documents. 17. What's a 'test plan'? What's a 'test case'? 18. 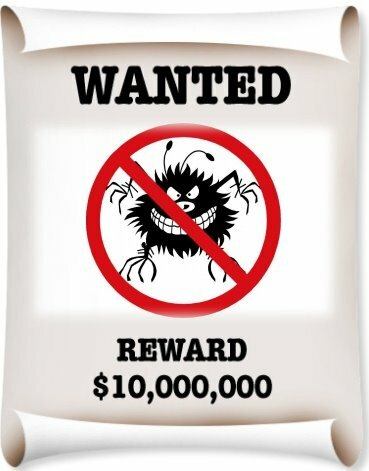 What should be done after a bug is found? 19. Will automated testing tools make testing easier? 20. What's the best way to choose a test automation tool? a. Analyze the non-automated testing situation to determine the testing activity that is being performed. b. Testing procedures that are time consuming and repetition. c. Cost/Budget of tool, Training and implementation factors. d. Evaluation of the chosen tool to explore the benefits. 21. How can it be determined if a test environment is appropriate? 22. What's the best approach to software test estimation? 23. What if the software is so buggy it can't really be tested at all? 24. How can it be known when to stop testing? 25. What if there isn't enough time for thorough testing? a. Use risk analysis to determine where testing should be focused. b. Determine the important functionality to be tested. c. Determine the high-risk aspects of the project. d. Prioritize the kinds of testing that need to be performed. e. Determine the tests that will have the best high-risk-coverage to time-required ratio. 26. What if the project isn't big enough to justify extensive testing? Consider the impact of project errors, not the size of the project. The tester might then do ad-hoc testing, or write up a limited test plan based on the risk analysis. 27. How does a client/server environment affect testing? 28. How can World Wide Web sites be tested? c. Testing the required securities to be implemented and verified. 29. How is testing affected by object-oriented designs? Well-engineered object-oriented design can make it easier to trace from code to internal design to functional design to requirements. If the application was well designed this can simplify test design. 30. What is Extreme Programming and what's it got to do with testing? 31. What makes a good Software Test engineer? 32. What makes a good Software QA engineer? 33. What's the role of documentation in QA? 34. What is a test strategy? What is the purpose of a test strategy? It is a plan for conducting the test effort against one or more aspects of the target system.A test strategy needs to be able to convince management and other stakeholders that the approach is sound and achievable, and it also needs to be appropriate both in terms of the software product to be tested and the skills of the test team. 35. What information does a test strategy captures? 36. What is test data? 37. What is Unit testing? 38. How can the test results be used in testing? 39. What is Developer testing? 40. What is independent testing? 41. What is Integration testing? 42. What is System testing? 43. What is Acceptance testing? 44. What is the role of a Test Manager? 45. What is the role of a Test Analyst? 46. What is the role of a Test Designer? 47. What are the roles and responsibilities of a Tester? 48. What are the skills required to be a good tester? 49. What is test coverage? 50. What is a test script? This is shilpa. I ve been lookin for these intw questions since long time....Finally got it on ur blog! Thanx!!! By compiling a list of interview questions, I think you are giving a wrong signal to your blog readers that one can get away with mugging up a set of questions and become a tester - get a tester job. You are right. I follow people like Cem Kaner, James Bach, Michael Bolton. And I subscribe to James Bach's school of thinking. I try to follow some of his ways of testing too. But I am not as lucky as you or Pradeep are, to be his student as yet. As far as mugging up a series of questions is concerned, I am a strong antagonist of such belief. May be that is the reason, why I don't belive in the so called Testing Certification programs. (http://software-testing-zone.blogspot.com/2007/04/best-certification-in-software-testing.html). I understand you point. But this post was in no way intended to give the wrong signal. I had posted this just just to be used as a guideline. Not sure where this goes, but here goes: Here's a multi-faceted bug, so the question is, "Where do I start?" The ingredients are as follows: Verizon FIOS, Router, Windows 94, Compaq computer, new Ethernet port installed, new Ethernet software installed. Still, no Ethernet connection. There is no green light at the port, either. What does work? I am using a Netwear wireless connection on my other computer to the same router: works fine. Running Windows XP. So where should I start? The computer boots up fine, I can do computer stuff all day long, just so long as I don't try to connect to the Ethernet. Love your comments because I can extrapolate to other testing areas. a) You are using (rather trying to use) Verizon FIOS fiber optics connection as a means to connect to the Internet. b) A Router (may I know of which type)! c) Windows 94 - Did you mean Windows 95 instead? As far as my knowledge in computing goes I don't remember an OS called Windows 94! However some people do use Windows 94 to mean Windows 95, as Win 95 was actually scheduled to be released in 1994! Which OS are you using exactly? d) A Compaq computer, new Ethernet port installed with new Ethernet software installed! Problem: No Ethernet connection! No green light on the port! More Info: Works fine when you are using a Netwear wireless connection on your other computer (Running Windows XP) to the same router! Before I could comment on this problem, let me confess that I am neither a hardware professional nor a networking guru. :) However, from the above problem summary, I am inclined to think that probably the installed OS (Windows 94/95) might be the culprit here. I doubt the compatibility of such an OS with a fiber optic connection like Verizon FIOS. [NOTE: Fiber optics became more popular towards the late 90’s – i.e. well after the lunch of Windows 94/95!] You may verify the compatibility by contacting with your nearest Verizon FIOS technical support team. I believe your problem has nothing to do with your Router as it works fine on your other machine running on Win XP. This further strengthens my doubt that this problem has more to do with the OS installed on your Compaq machine. I don't understand whats wrong in posting these "Interview questions". I for one am new to software testing and this post helped me in getting an idea of what kind of questions are asked in the interview (and what kind of areas I need to focus on before applying for a job as a software tester). Anyway. Thanks for the great post Debasis. There are some questions in my mind. Please answer. Q1: What is difference between QA and QC? Q3: What is meant by "context of the project"? Q4: What is Unrealistic and Realistic schedule? Q5: What is CMM, CMMI, SEI, ISO. Please explain in detail. How One can came to know which standard followed by company? Who controlled these standars? Q6: What is objective, scope, and approch of project? Q7: What is Golden Bug? Q8. What is Agile, Exploratory and Rapid Testing? Which is mostly opted now a days. Wish I could answer all the above questions here. But the comment box is too short for it, I believe. In the meantime, why don't you try Google and Wikipedia? I'm sure you would get answers to most of your questions by that way. I was recently on a phone interview were I was asked "What's the appropiate amount of manual to automated testing?" I don't know of a good answer to this question save "it depends on the company, resources, and project". I have been working on SQA for many years and I can tell you summarized pretty well the concepts. If I am a software testing guy I will surely take a look of these questions before leaving for an interview..
Hi Guys This is Dineshkumar. Please share your interview Experience it is very useful us.